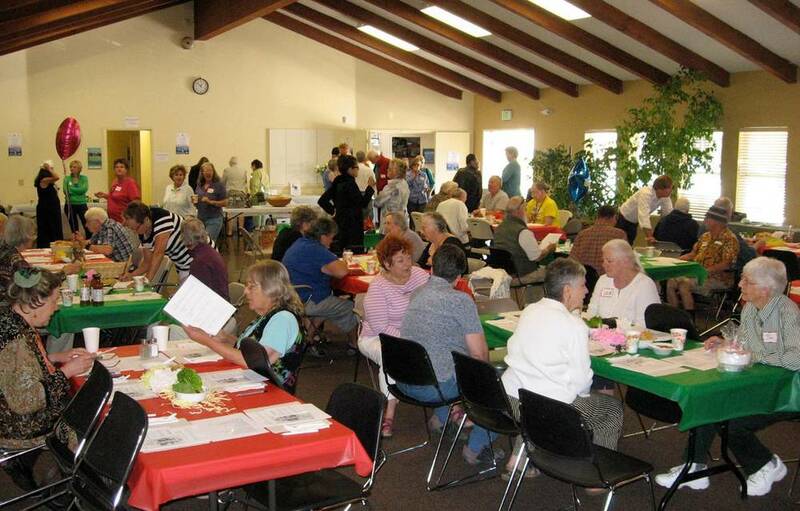 We happily host a 60Plus Luncheon five times a year: January, March, May, September and November. We start with social time and a yummy lunch followed up with a talk about an important topic of interest to LGBTQ+ seniors or some light entertainment. A great way to help you digest! In an effort to keep the cost as low as possible we ask you to pay $7 - but only if you're able. No pressure. We also have a policy of seeking out sponsors in the community. In exchange, businesses have an opportunity to publicize their community spirit, and effectively place their names and business before the Santa Cruz County LGBTQ+ community. Details about becoming a sponsor begin on this page. Click here for location, topic and sponsor information for upcoming luncheons. $7 requested. No one will be turned away for lack of funds. We want to have enough for everyone, so please let us know you're coming. Or check back here about two weeks before the scheduled date.